Great, because we totally have answers! Note: Times and event listings are subject to change. Please check back periodically for updates. Your conference registration package includes breakfast, refreshments at networking breaks, lunch, receptions, and access to all keynote presentations, workshops, access to learning village exhibit hall and event activities. See registration rates and details here. The event app will be available for download within six to four weeks of the event. Check back for details. The hotel is equipped with a full-service business center. We value your opinion and encourage you to fill out the workshop evaluations using the mobile app or by requesting a paper form. We will also send out a post-event survey within a week of the event. You may email us anytime at info@L-TEN.org. Presenter slides and handouts will be made available to attendees with full conference registrations post-event. Please do not leave valuable items unattended. If you lose an item, please check with the LTEN registration desk. Attendees will receive refreshment breaks, continental breakfasts, and lunch during the event. See event schedule for meal times and locations. The event guide includes program changes and additions made up until its printing on March 15, 2019. For updates occurring after printing, please download the 2019 LTEN Annual Conference app. The app will be available for download in early May 2018. Maximize the LTEN Experience at the Conference and Beyond. New Members and First-time Conference Participants Welcome! New to the conference? Wondering how to get the most value for your membership? Then this discussion is for you. Join us Monday, June 4, 3:00 -4:00 PM. See mobile app agenda for location and details. 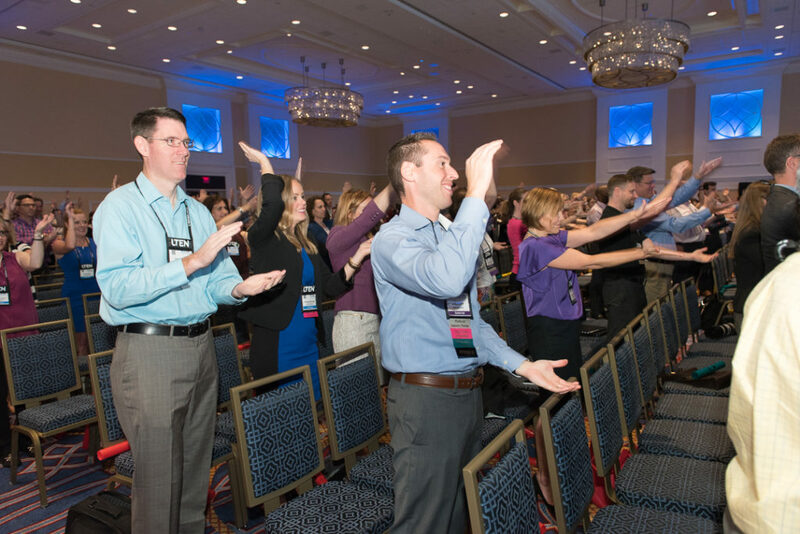 Learn how to make the most out of your conference experience through exploring the conference program, popular activities and new offerings. In addition, participants will have an opportunity to investigate what resources LTEN has to offer and to network with their peers before the conference officially begins. Show management recognizes that outboarding may take the form of commercial activity by non-exhibitors conducted from a hotel guest room, hospitality suite or nearby restaurant or club. For the purposes of this policy, outboarding violations may occur at venues other than the exhibition floor. If you have any questions regarding this policy, please contact Christine Gaudet, director of events, at cgaudet@l-TEN.org or (215) 357-1077. You will be doing LOTS of walking, so please consider comfortable shoes. On Thursday, please come dressed as ‘Smart Casual’ – a slight twist on business casual in which you may wear nice dark denim jeans or slacks with a business casual top and footwear. Other great options are sports jackets, collared shirts, crew neck sweaters, dresses or skirts. Have a question about LTEN, becoming a member or renewing membership, the conference, or just want to talk? We’re happy to help and are here for you. Email us at info@L-TEN.org or call our Business Office to speak with Miki White at (540) 725-3859.